Rich people without a college degree- their stories may sound inspiring and enticing. However, as the professional and business landscape gets more competitive, for most people a college degree now equates with more money. According to the United States Census Bureau, the average annual income of a graduate with a Bachelor’s degree is $52,200. This is significantly higher than $30,400, the annual earnings of a high school graduate. Income soars even more as you climb up the educational ladder. People with a master’s degree take home an average yearly income of $62,300; those with a doctoral diploma earn $89,400 per annum; while individuals who possess a professional degree (doctors, lawyers, etc.) bank $109,600 annually. In terms of lifetime earnings, college graduates earn an average of $2.1 million, doubling the $1.2 million lifetime income of a high school graduate . This stark difference is due to the fact that people with Bachelor’s degrees have a more fruitful and profitable career path ahead of them versus the limited opportunities for high school graduates. It is thus evident that a college diploma or a higher degree is an important determinant of professional and financial success. However, the fact still remains that attending college does not come cheap and not all families have the means of sending their children to tertiary educational institutions. But as the old mantra goes, if there’s a will, there’s a way. One viable way to pursue college education is by applying for private student loans. 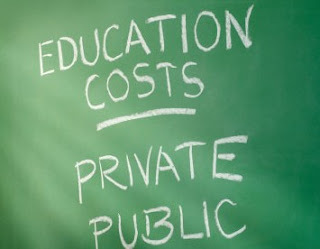 A private student loan can be used to augment federal student loan programs, which sometimes cannot cover all the expenses associated with college education. Sometimes, there can be misconceptions about private student loans such as extraordinarily high interest rates. However, through expert advice, private student loans can be easily managed with a carefully mapped out repayment program. Cedar Education Lending for example, offers fair private student loans and private student loan consolidations A private student loan consolidation merges all student loans a person might have into one single loan. This can substantially lower your monthly payments by extending the repayment terms as well as reducing interest rates. Private student loans may appear daunting at first. Looking closely, the financial benefits of possessing a Bachelor’s degree definitely justify the costs of going to college. Just think of student loans as your investment for a lifetime of financial stability and a rewarding career. For most of people, it is natural instinct to stay away from debt as much as possible. Then again, there are certain situations wherein everything else is present except for money. Getting into postsecondary school or achieving a college degree is a perfect example. Contrary to popular belief, today’s students are very much aware of the horror stories related to private student loans. However, many experts now agree that being scared to take out a private student loan debt can hinder the realization of a person’s full potential and can wreak greater financial havoc than staying out of debt. This is glaringly based on how much a college graduate can earn versus a non-degree holder. In a lifetime, someone with a Bachelor’s degree make $2.1 million which dwarfs the $1.2 million lifetime earnings of a high school graduate. Of course, there are federal aids and scholarship grants available to students, which have been, still are, and shall remain as first options for college education financing. 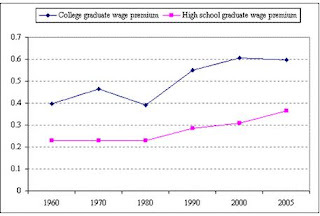 Unfortunately, the cost of postsecondary education has skyrocketed over the recent years. In the last decade, the cost of a four-year course at a public institution rose by 112.5%. Not to mention the fact that government funding for higher education has significantly declined. Given these circumstances, it appears that a private student loan is the best mean for students to pursue postsecondary education. The negative things associated with private student loans are not really inherent faults of the financial mechanism itself, but on how people handle their debt. If managed properly, taking out a private student loan can be your golden ticket to financial success. There are student loan experts which can offer a well thought out roadmap on how you can write off your student loan debts. Cedar Education Lending, for instance, can offer private student loan consolidation. It is very common for students to get more than one loan and tracking them can be a headache. Private loan consolidations collapse all these into a single loan which can bring down interest and prolong the payment terms. Clearly, getting a college degree has become more financially challenging than ever before. Thankfully, there are private student loans which students can avail of. If handled properly, student loan debts need not to be financially debilitating and can in fact be a catalyst for long-term financial success. How Much Private Student Loan Debt Do You Have? More and more students turn to federal and private student loans to pay off their tuition fees and other school expenses. This has even earned the attention of major lawmakers, since the numbers are continuously climbing up, which proves that more and more families are finding it difficult to send their children to college. Since more students are depending on these private student loans, more and more students ask themselves how much private student loan debt they currently have. Why is this so? One reason is that most students borrow from different student loan companies without even realizing that they are borrowing more than they can pay. Idealistically, they are counting on the fact that they can land their dream job which pays more than enough for them to pay the loan off. However, after graduation, they are faced with the harsh reality that it is not that easy to get a job that would pay them enough. Thus, they end up with an overhead of debts. So, how do you prevent this from happening? First, know more. Know more about the terms and conditions, fees and interests of different student loans being offered to you. Talk to your guidance counselor of whoever is in charge of explaining the details of private student loans in your school. It is best to be armed with knowledge rather than fall into a trap. Next, talk to your loan officer. Ask as many questions as you can. Are their interests fixed or variable? Do they charge other fees aside from the interest? What are their payment terms? What are actions that result to penalties? Make sure that you know everything you need to know before you go ahead with the application. Lastly, manage your budget wisely. If your schedule permits it, get a part-time job and save some money so that after you graduate, you have enough bread to get you through until you find a really steady and good paying job. Be wise when it comes to spending your money, and make sure you pay your monthly repayment dues on time. A good credit standing can earn you lower interest rates and even discounts. Applying for a student loan is not bad, as long as you know the ins and outs of the situation. Be wise enough to plan ahead on how you are going to pay it after you graduate, so that you will not be surprised with the sudden responsibility of paying off debts after you graduated. Be matured enough to take responsibility.